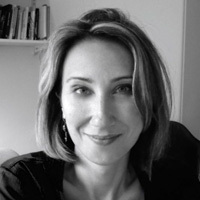 Former CAVA Associate Tuba Kocaturk is now Professor of Integral Design at the School of Architecture and Built Environment at Deakin University. She is also Director of MInD | Lab for Mediated Intelligence in Design – a practice-based and trans-disciplinary research group based in the School of Architecture and Built Environment at Deakin University. Prof Kocaturk's research and teaching expertise centres upon the creative, generative and collaborative use of information and communication technologies and digital media in Built Environment research and education. In recent years, she has been exploring the transformational potential of embedding computation, big-data, artificial intelligence, and real-time connectivity into the conception and realisation of buildings/urban spaces for a sustainable built habitat. Her research is grounded-in and informed by practice, and involves the development of 'tangible models, tools and methods' with potential to create impact on industry practice, education, community practices and with policy implications. She strongly believes that Built Environment research cannot be separated from industry or education and the three must come together for the benefit and ultimate progress of our discipline. In collaboration with Prof Richard Koeck, she is driving theory and methods around trans-disciplinary design principles applied to research and practice.